Tech Mania was started in September 2013. We publish articles related to Windows PC's Android Windows phones and some tricks related to Internet and website. We are thankful to Vinay Goud ( All Tech Tricks ) and Imran Uddin ( All Tech Buzz ) for supporting and encouraging us. Ravindhar Madasu is the creator of this Blog He is a Engineering student and a part time Blogger.He is interested in writing articles about Android, Windows.. Apart from Blogging he is pursuing B.E in Electronics and Communication Engineering stream. Vijay is part time Blogger and SEO expert. He writes articles about latest technology and does SEO. A part from blogging he completed his Engineering in Computer Science stream. 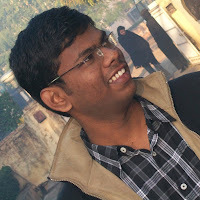 Varun Bharadwaj is part time Blogger and interested in Writing articles about Windows Phones apps, Tricks, PC and many more.. A part from blogging he is doing his Engineering in Computer Science stream.